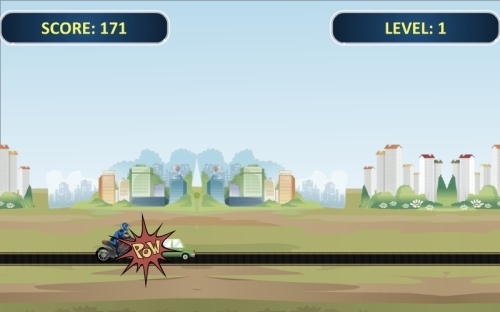 Description Unreal Biking is a challenging fun game in which you need to drive in a single lane road and instead of giving side to vehicle coming from opposite direction; you will make it jump over them. Just click to make the bike jump, be aware it should not collide from any vehicle coming from opposite direction. You will get different types of challenges in different 15 levels. Each mistake cuts your level points so be aware of mistakes.